Br. General Bentzi Gruber is Vice Commander (reserves) of Division 252, an armored division of 20,000 soldier in the IDF. As an entrepreneur, he has established Internet startups, been a real-estate developer and serves on the board of a variety of technology companies. 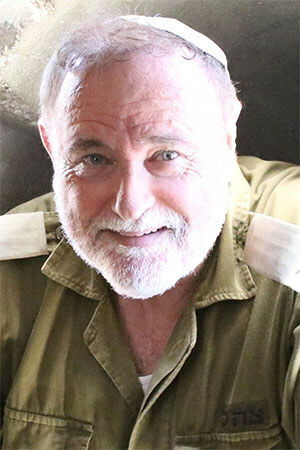 He is founder of “Chesed In The Field,” a non-profit that brings together IDF reservists and chronically ill and disabled children for special events throughout the year instilling the values of community and social responsibility in the hearts of thousands of soldiers. Br. General Gruber also established “Ethics in the Field” to shatter myths and present the facts missing in today’s discussion of Israeli counter terrorism. He lectures world wide on this topic, and has given over 400 lectures in the US and Europe. General Gruber has addressed high school students, university students, presented at national conferences and at US military academies such as West Point and at the US Air force. General Gruber’s lecture invites audiences to explore what makes someone a true leader. It raises the question of how does one inspire and motivate others. General Gruber’s presentation is engaging and entertaining leaving audiences intrigued and inspired. General Gruber uses humorous video clips to highlight and support his motivation techniques. Audiences have a broad range from students and teachers, business professionals, lawyers and doctors. General Gruber offers a 2 hour hands-on workshops where participants have the opportunity to practice the tools they have learned. A fascinating look at the ethical code of the IDF. The presentation is fascinating and engaging and includes cutting edge footage which illustrates how the Israeli military works tirelessly to avoid collateral damage. General Gruber gives an overview of the diverse challenges and dilemmas an Israeli officer faces each day. איך אותו הקוד מיושם בלחימה , בעולם העסקים ובחיי היום יום. מלווה בסרטי וידאו ודוגמאות מהשטח.